We worked with the University of Surrey on their new £45m development installing a circular standing seam roof. 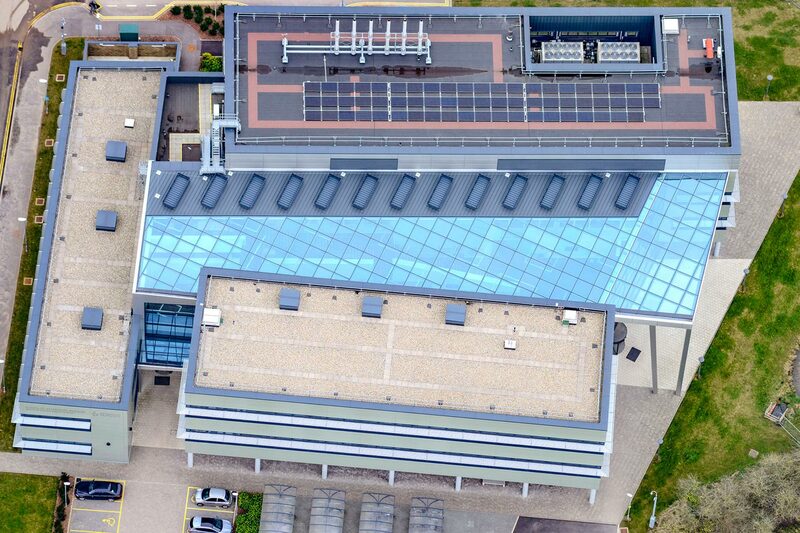 We were the roofing contractor for the new £45m development at the University of Surrey. We worked on three buildings for these state of the art facilities for the veterinary centre. 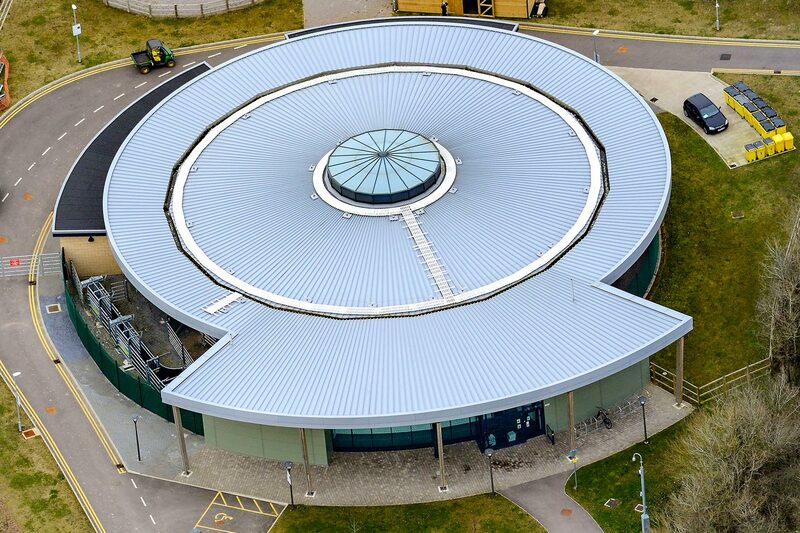 As part of these roofing works we installed a circular standing seam roof to the VSC building. The design could have led to potential issues, but through careful planning and designing we were able to overcome any that occurred and delivered the project as per our client’s requirements. To circular VSP building: Bemo structural deck spanning rafters, acoustic and thermal insulation, Bemo tapered standing seam roofing, and liquid plastic gutters. To VSM building: inverted Alumasc Hydrotech hot melt system, EPS insulation, stone andpaviour ballast, Keyguard edge protection to two roofs, and Bemo structural deck and Alumasc insulation and Euroroof built up felt roof system to the plant area.